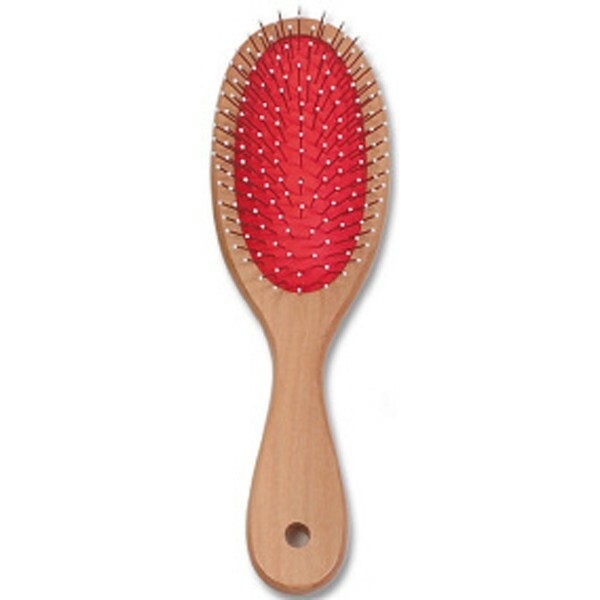 Wooden Rubber Cushion Dog Brushes have nylon tips secured to metal pins that are easing recognised by the plastic nodules on the end of the bristles making the brush look like a pin cushion. Soft rubber cushion brushes are more suitable for younger pets and breeds with short hair. As well as getting rid of dead or moulted hair, dog brushes help to spread the natural oils of the coat giving a smooth healthy and glossy appearance.